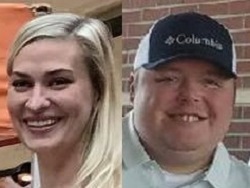 It is time for some SEC football predictions, as I do each week on SportsRadioWNML.com here on my blog, Vince’s View, which is driven by Oak Ridge Nissan. The point spreads are simply as a gauge of favorites with straight-up winners, not picked against the spread. Vince’s View: This is really tough to call. Ole Miss is fabulous offensively and horrific defensively, while South Carolina is mediocre and inconsistent across the board. Home field edge and the best QB in the game goes to Ole Miss and Ta’amu. Vince’s View: Is Auburn fixed after a better game vs. Ole Miss and the open week? Will A&M respond after the disappointment on the road at Miss State? If A&M gets a solid performance by Kellen Mond, I like the Aggies in a close one. Vince’s View: Considering how little Vegas has thought of UK this year and UGA’s bounce back performance in Jacksonville, I’m surprised the line isn’t bigger. I think last week’s Georgia is more of what you’ll see from them moving forward. UK won’t get away with the things it did vs. lesser teams against Georgia. It’s amazing that Kentucky is in a position to win the SEC East and it’s such a neat story, but I think Georgia is better. Vince’s View: Now many are bailing on Florida after the loss to Georgia, who is a great team. Mizzou is highly flawed and doesn’t play well away from home. The Gators defense should have a good day. Vince’s View: Charlotte should present a tougher test than some of the early season non-conference opponents, so UT might not want to be lethargic. Both teams typically possess the ball on offense which could shorten the game up and keep the score down. 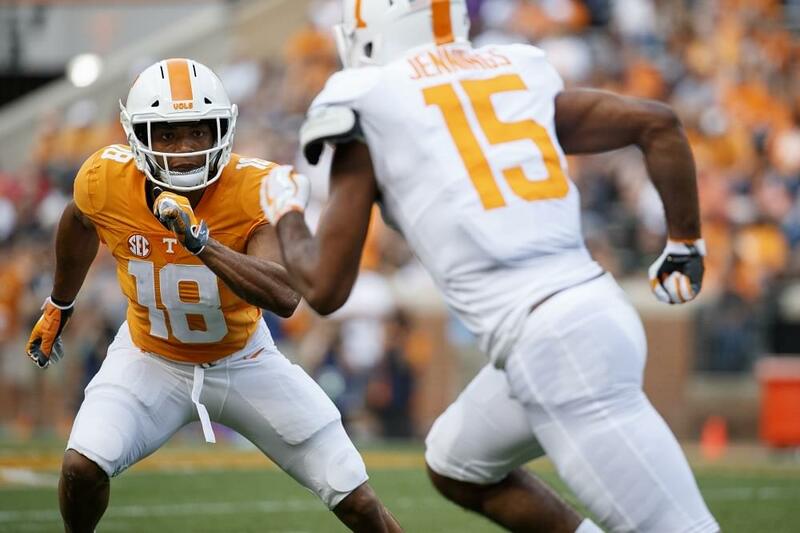 The Vols should still be able to get back some of those explosive plays they’ve been missing. 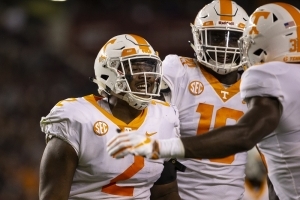 Two potential problems for Tennessee are still not being able to dominate the line of scrimmage and the health status of numerous players. UT may hold some guys out to make sure they are ready for the home SEC stretch. It won’t be a dominating performance, but a win nonetheless. Vince’s View: Is Nicky F back to being the hard-to-stop dual threat QB? Tech may not be the best test for that, but the Bulldogs should handle business and pull away late. Vince’s View: LSU’s elite secondary gives the Tigers the best opportunity to compete with Alabama. Will the windows tighten? Will LSU’s balls skills net them the first INT of Tua? Will Alabama be in a tough game for the first time. Probably yes on all fronts, but they are so good in so many areas, they’ll overmatch LSU in the end. Oak Ridge Nissan. Make the ten-minute drive and save thousands! Find more of my blogs here on SportsRadioWNML.com and my broadcasting work at VinceSports.net.